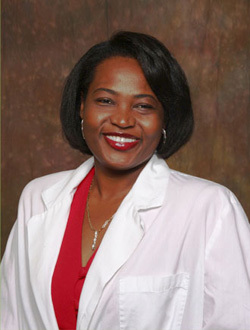 My name is Dr. Chery and I have been a chiropractor in the Lee County area for over 14 years. I am married with two children that are very active academically and athletically. My son plays football, basketball and enjoys the clarinet. My daughter is a gymnast and loves to play basketball as well as play the flute. The main goal at my Fort Myers chiropractic office is to help people live a better quality of life with little to no muscular pain with gentle and effective chiropractic methods. Our primary focus in our office is to provide a healthy nervous system as well as a healthy musculoskeletal system that work together in order to maintain homeostasis. My staff and I are dedicated towards helping our patients feel better in a non-surgical manner. We are committed to providing the highest quality of chiropractic treatments and look forward to helping our patients restore a better quality of life and well being. We emphasize in musculoskeletal re-education by correcting muscle imbalance through trigger point therapy, physiotherapy, Proprioceptive Neuromuscular Facilitation (PNF) stretching and if needed, teach the patient different strengthening techniques to help them maintain good health. We perform muscle testing on our patients in order to identify muscle imbalance. Give Chery Chiropractic Center a call today and let me help you on your journey to health and wellness.